The much discussed Coen Brothers film Inside Llewyn Davis arrived in Chapel Hill fully five weeks after its theatrical release in New York and LA and thus a year after its Toronto festival debut. I felt as if Becky and I were the last folks, along with the other 20 people in the Sunday matinee office, to screen it. I had known less about movies I have already seen. I enjoyed Inside Llewyn Davis. It kept my attention and did not permit my mind to wander much, which is an accomplishment. I only thought about Van Ronk when Davis played “Dink’s Song.” Otherwise, he no more made me think of Dave than any other bearded white guy with an acoustic guitar born during the 1930s would. 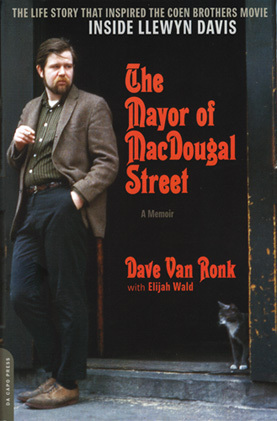 Point #1: The Mayor of Bleeker Street was source material for this time and place that also borrowed some incidents from Van Ronk’s life, such as getting slugged in an alley by Jean Ritchie’s husband George Pickow. 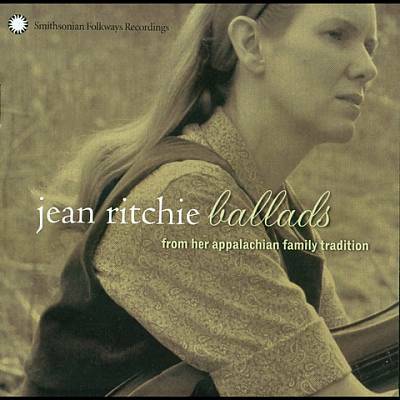 Question #1: Jean and George came to a Kathy Mattea concert I produced in Whitesburg, KY in June 2008. They looked about 15 years older than portrayed in the film set in 1961. The historical Jean, a lap dulcimer player from Kentucky not an Autoharpist from Arkansas, would have been just 38 at the time. 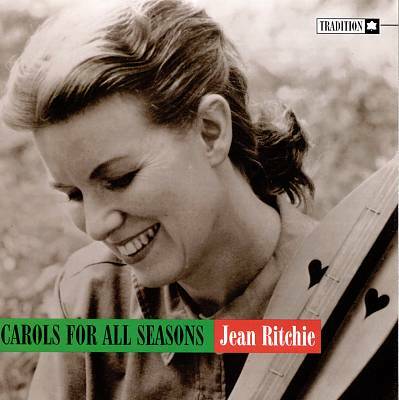 More than a dozen years had pas sed since she first opened fo r the Weavers and Woody Guthrie and nine since the first of the two major label releases among 15 albums she would have had out by then. She had earned a Fulbright Fellowship and written a popular 1955 book about her family. These 1959 and 1961 album covers don’t look like the little ole Ozark lady in the movie. Despite The Washington Post’s claims of a new “forgiving, even wistful, air,” Inside Llewyn Davis seemed to me dark, Barton Fink and The Man Who Wasn’t There dark. Point #2: I went into the Chelsea Theater #3 knowing that the opening scene would be the closing scene or close to it. Plus, the Coens have made one engrossing film after another in which – counter to American film tradition – the protagonist, whether Fink, the abiding Dude, George Clooney in O Brother, Frances MacDormand in Fargo, or Oscar Issac as Llewyn – remains unchanged despite experiences that should be transformational. The difference with Inside Llewyn Davis is that this is as much a bunch of stuff that happened as any early Seinfeld episode. The earlier films did advance plot if not character. 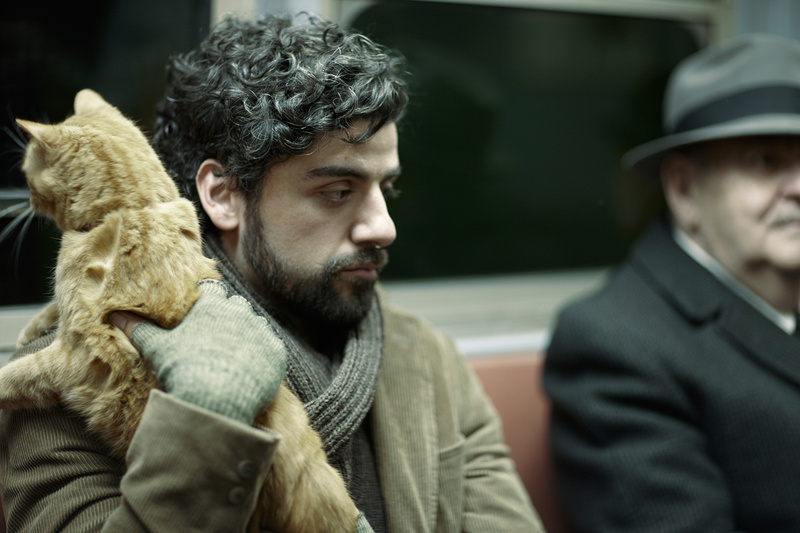 Inside Llewyn Davis takes us back to where we started. Had I expected Llewyn to progress as a person; I would have been disappointed. Point #3: Instead, I did not find the character Llewyn Davis off-putting. He is a self-absorbed singer-songwriter. That happens. The cat liked him. Get it over it. He is not Dave. Dave’s not here, man. I cared what happened to Llewyn. I can see, however, why folks did not, given then placement of the heckling scene at the front before we know that Mike killed himself, he loves Jean (of Jim & Jean), his dad sits mute, and he can hold a cat for days on end. In a conventional Hollywood film, all this would have been laid out so that we would like Llewyn, then he would display his pain publicly at the expense of faux-Jean Ritchie. 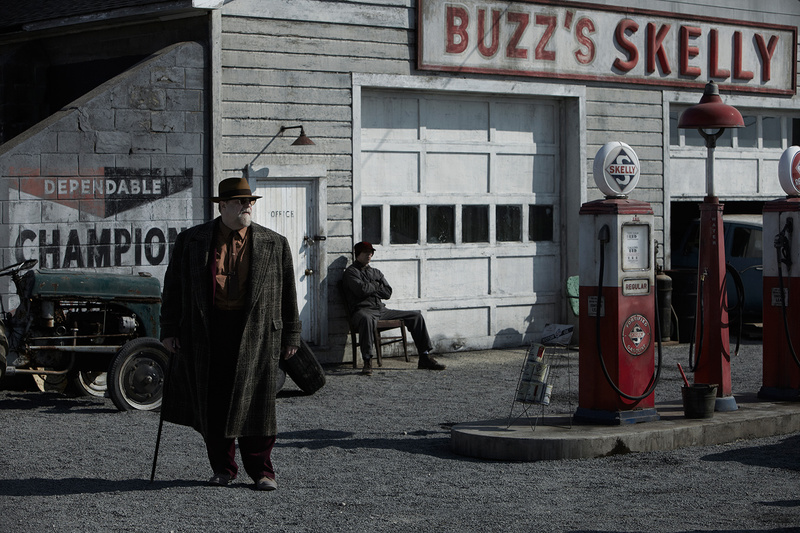 Instead, the Coens take the substantial artistic risk of introducing us to Llewyn at his worst and working backward. The devise only works in part, mostly for the reason above. And that is why this is a good, perhaps very good, Coen Brothers joint, but not a great one. Far, far better than Intolerable Cruelty or the Ladykillers, to me Inside Llewyn Davis ranks behind at least Big Lebowski, Barton Fink, True Grit, and O Brother. I did prefer the new release to the acclaimed No Country for Old Men, however. For this flick to have achieved greatness, we would have to genuinely like Llewyn the way we came to admire and root for the stoner bowler Dude. Question #2: Did it make a difference that the Dude, Clooney’s Ulysses Everett McGill, or Marge Gunderson could have ended up dead or worse, while Llewyn only could have ended up sleeping on the floor, having cold, wet feet, or going back to work as a merchant seaman? Point #4: My theory consists of John Goodman’s Turner being the foil to show Davis in a comparably good light. Whatever the reason, Turner proves to me the most unpleasant character in the great actor’s long career. He serves to get Llewyn to Chicago to audition for Grossman, but it may have been easier to walk than put up with his junkie insults. That Goodman is not a high point is likely another reason some folks are not endeared by Inside Llewyn Davis. Final Point, Inside Llewyn Davis proves neither a mockumentary nor documentary about the folk music scene on the cusp of third twenty century wave of the folk revival. Inspired by real life people, places, and events, this is a work of fictional art to evoke the feel of a certain part of Manhattan and a certain segment of society and the fringe music business more than a half century ago. The truths in this movie are about the fate of the self-absorbed, especially in face of dashed hopes and frustrating expectations. 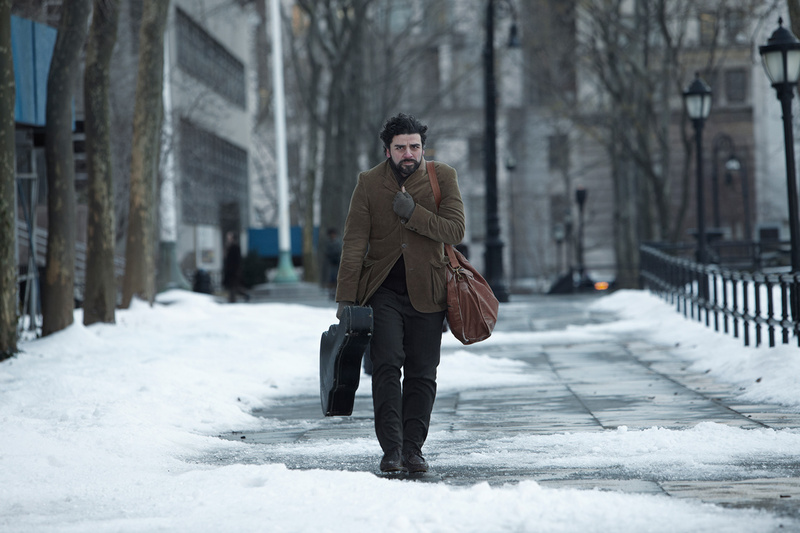 Whereas O Brother was a moving picture that used folk music to such an extent that it was almost a two hour music video, Inside Llewyn Davis uses the people of the Greenwich Village folk music scene to explore human desires and shortcomings. Question #3: Did anyone else see Llewyn as the anti- Ulysses Everett McGill. Clooney’s memorable character never gave into the dark side, no matter how consistently dishonest and conniving he was. He believed so enthusiastically in his own bull, that he remained a thoroughly engaging, upbeat con man – emphasis on the con. No matter what, you can’t stay mad at Ulysses. Davis remains downbeat and cynical even at his funniest. You know McGill would steal from you, but you still liked him. Davis only wanted to borrow a few bucks and crash on the couch, but he is a downer with a little cloud over his head. PS: I cannot get “Please Mr. Kennedy” out of my head. I even played it on WCOM-FM 103.5 the other day. Click on the still for the studio scene. And that leads to my most recent assertion about Inside Llewyn Davis, one that came to me a day after writing this essay. “Please Mr. Kennedy” is not merely a suggestion of the national obsession with the space race, which Mr. Kennedy essentially ended with the man on the moon goal. Nor does it just evoke the novelty song craze of the late 1950s and early 1960s, often folk-pop like “Honeycomb,” and allow a John Hammond, Sr.-inspired character to get in on the fun. “Please Mr. Kennedy” provides the coda for Inside Llewyn Davis. At the least, it suggests the significance of setting the film in 1961 goes beyond exploring the three or five years between “Tom Dooley” (#1 week of Nov 17, 1958) and “Rock Island Line” (#8 week of March 24, 1956) and the full blown 1962-1965 Folk Scare, when the music was oh so important in determining who your friends and lovers were. On the movie’s website, Elijah Wald, who completed Dave’s memoir, offers an outstanding article about this time. Peter, Paul & Mary’s first Top Ten single, “If I Had A Hammer,” hit the charts in mid-August 1962 and with it the Folk Revival was underway. All that meant, really, was that commercial radio & TV and big time concert promoters latched on to folk while it was hot. In other words, folk moved from a novelty or niche form that could produce occasional hits to being THE pop music until displaced by the Beatles and Stones. Folk – rebranded and reconfigured as “singer-songwriter” – remained a strong component of commercial pop music well into the 1970s. Enough digression. “Please Mr. Kennedy” in combination with the movie’s darkness, establishes Inside Llewyn Davis as a meditation on the failed hopes of the 1960s. The space program symbolizes our rising hopes in 1961 of an every better future in which we would overcome poverty, racism, and disease through technology and chemicals. Llewyn, in this interpretation, is not a bad portrayal of Dave van Ronk but of the decade itself, self absorption included. His trip to Chicago to have his hopes dashed and then coming back home to find things the same, only worse, becomes an easy metaphor for the times.